The VBeam Perfecta laser is designed to treat redness, birthmarks, vascular lesions, scars, face veins, facial, neck and chest redness without damaging the surrounding tissue and skin surface. The VBeam laser produces an intense light that selectively destroys the blood vessels within the area that are causing the unsightly discoloration. Genetics is the most common reason for broken capillaries on the face, however sun exposure, spicy foods, alcohol, cold, hot and windy weather can cause a flushing and redness of the face. It is important to determine if this is broken facial capillaries, or if it is external environmental factors which cause temporary redness. Rosacea is a common skin condition that results in spider vein like blood vessels broken across the face, with an overall general redness on the face. 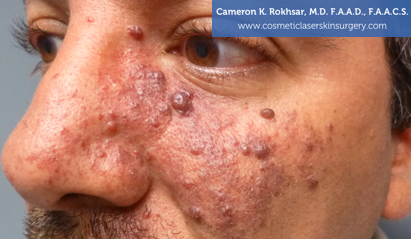 Rosacea can also be the result of the formation of adult acne. 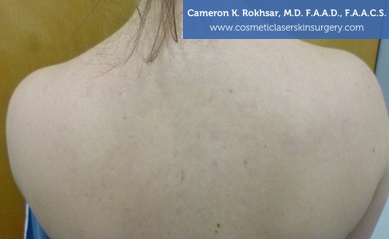 The VBeam laser can emit precise waves of energy into each targeted vein. The energy is absorbed by the blood vessels and as a result, the laser energy’s heat causes the blood vessels to clog. Slowly the clogged vessel is naturally absorbed by the body and no longer causes a prevalent and distinct red appearance through the skin. 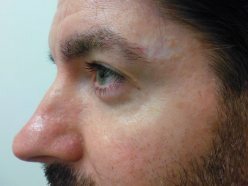 There are many cream and topical treatments available on the market that claim to clear the redness, but lasers are proven to be the most effective treatment for broken facial capillaries. 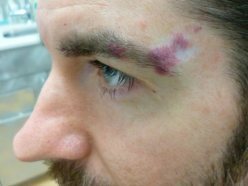 Because the VBeam is the most advanced of the pulse dye lasers available on the market today, the appearance of broken capillaries can be greatly decreased and in most cases, eradicated anywhere on the face. The VBeam is designed to focus its energy on the face’s delicate skin of the cheeks, nose and chin. A few treatments are necessary to achieve optimal results, but some improvement can be seen just after the first session. What is the V-Beam used for? 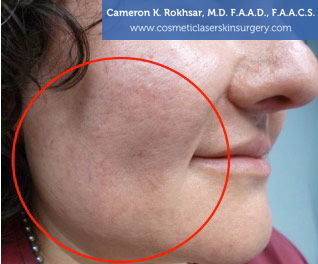 The V-Beam laser is specifically designed to treat vascular issues that cause redness to appear on the skin’s service. Various conditions include: rosacea, port wine stain birthmarks, redness flush and irritation from acne, fresh stretch marks, facial and leg veins (varicose veins), hemangiomas, and angiomas. How does the V-Beam laser work? 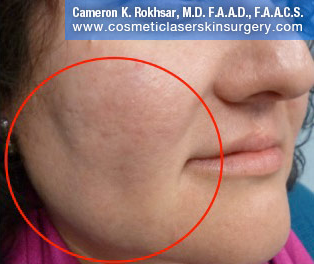 The laser works by administering different wavelengths to target unusual pigmentation caused by blood vessels or other discoloration caused by acne. Can the V-Beam improve skin texture? 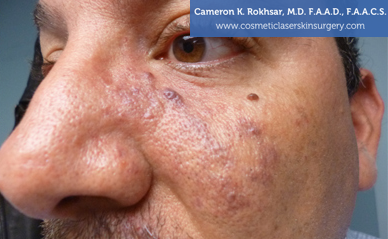 Skin texture improvements are a secondary effect of V-Beam laser treatments. 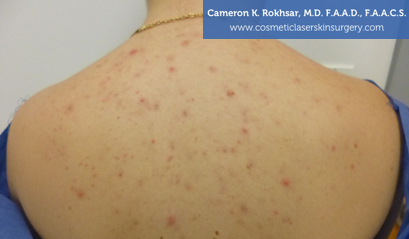 Blood vessels are the primarily targeted treatment area however the light from the laser administers heat below the skin into the dermis, which is the deeper layer of the skin. The collagen in the dermis is stimulated to produce more collagen, resulting in a newer and improved skin texture.